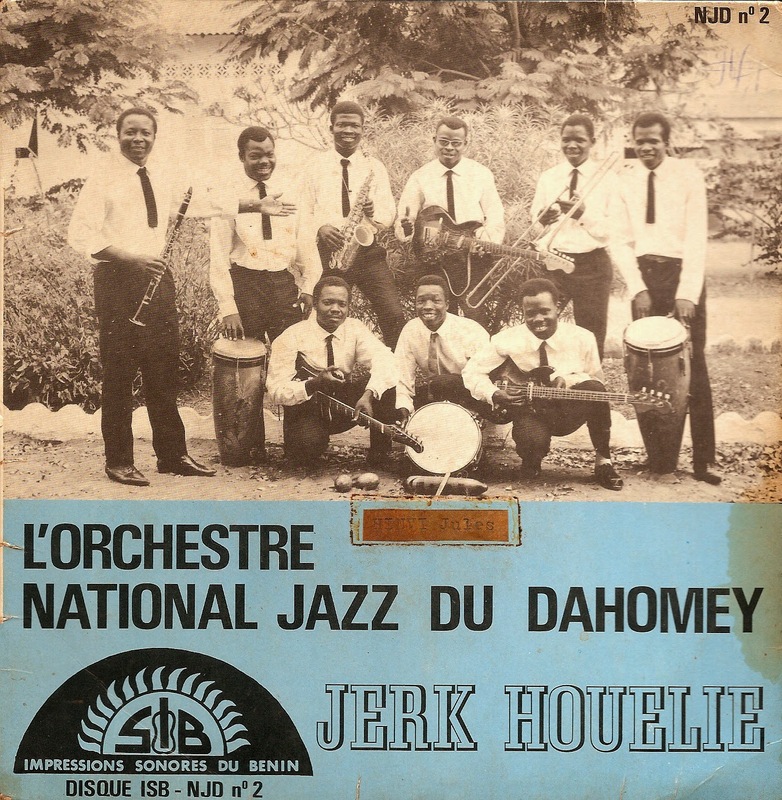 National Jazz du Dahomey is one of the first modern band of Benin after decolonisation. This Extended Play record was released in 1968. 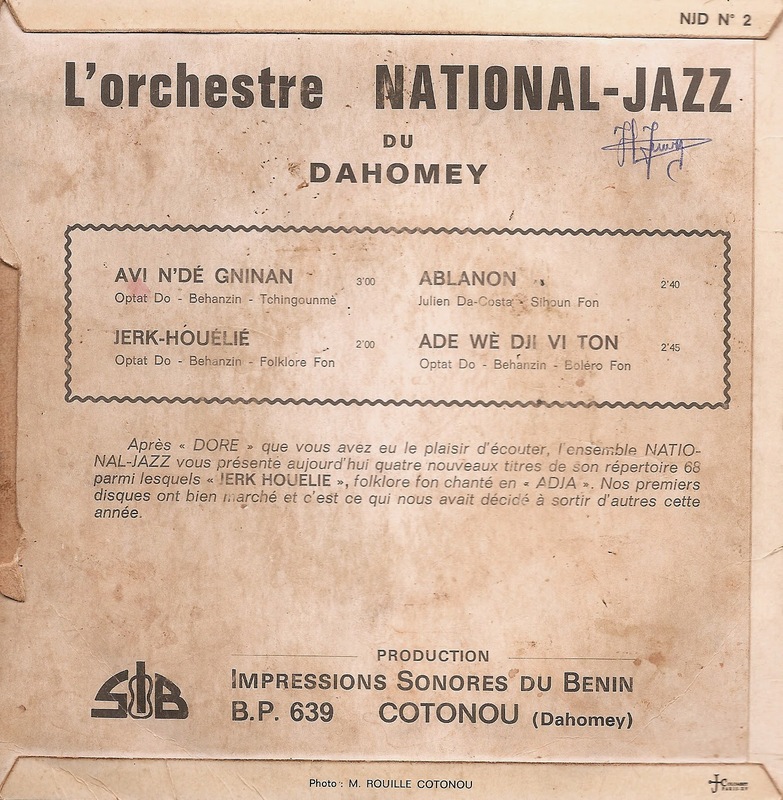 National Jazz du Dahomey figure parmi les premiers groupes modernes du Bénin après la décolonisation. Ce 45 tours longue version a été enregistré en 1968. Another day, another astoundingly rare and beautiful record to discover. As always, THANKS for opening your collection to the universe! This is like finding a great treasure. Merci Mingi. On listening, National Jazz du Dahomey is even better than I'd hoped. THANKS again, got any more?? Sorry for the late but I discovered you only a few weeks ago. Thank you for this blog which is really different among the blogworld. How can I download this LP which it is so well evaluated. Maybe repost? Or give me the address ... Thank you a lot. oh man, thanks a lot for all those gifts! my gratitude cannot be put into proper words!